Geothermal Heating and Cooling systems are perfect for homeowners and business owners looking to maximize energy savings by achieving the highest efficiency levels. At Polar Heating and Air Conditioning we specialize in the design and installation of geothermal heating and cooling systems. We also provide repair and maintenance of all geothermal equipment. If you are interested in comfortable, economical, and environmentally friendly heating and cooling, contact one of our geothermal specialists today. When considering installing a new geothermal heating cooling system it is important to choose a company that has experience installing these complex systems. While the science behind geothermal is pretty straightforward, proper installation is most important. At Polar Heating and Air Conditioning we have the experience and the resources to get the job done right. Not only do we use the highest quality equipment, but we also offer competitive pricing. In fact, we will beat any legitimate competitor’s written estimate by up to 5%. Once you factor in rebates on equipment, tax credits, utility credits, and the monthly savings on energy costs, Geothermal heating and cooling is truly the smartest choice. 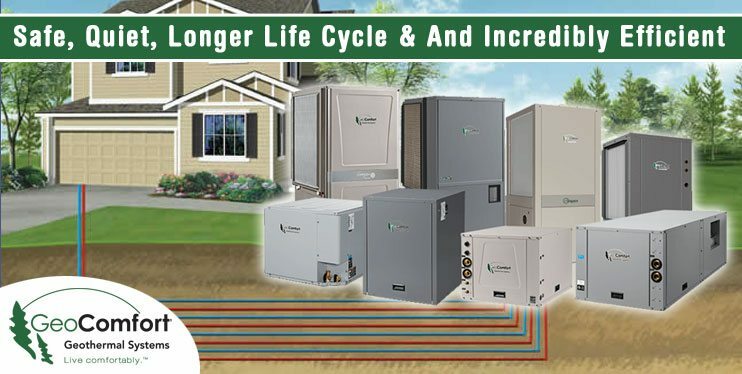 Lower Utility Bills – Geothermal heating and cooling equipment is the most efficient available. Quiet Operation – With no outside fan unit, geothermal equipment is considerably quieter. Environmentally Friendly – Geothermal heating and cooling equipment uses less electricity and produces no greenhouse gasses. Long Lasting – You can expect your geothermal heating and cooling system to last 15 or more years when properly maintained. The ground loop is warrantied for up to 50 years.